It is always a good idea to have quick access to your Knowledge Base articles when you are responding to customers. 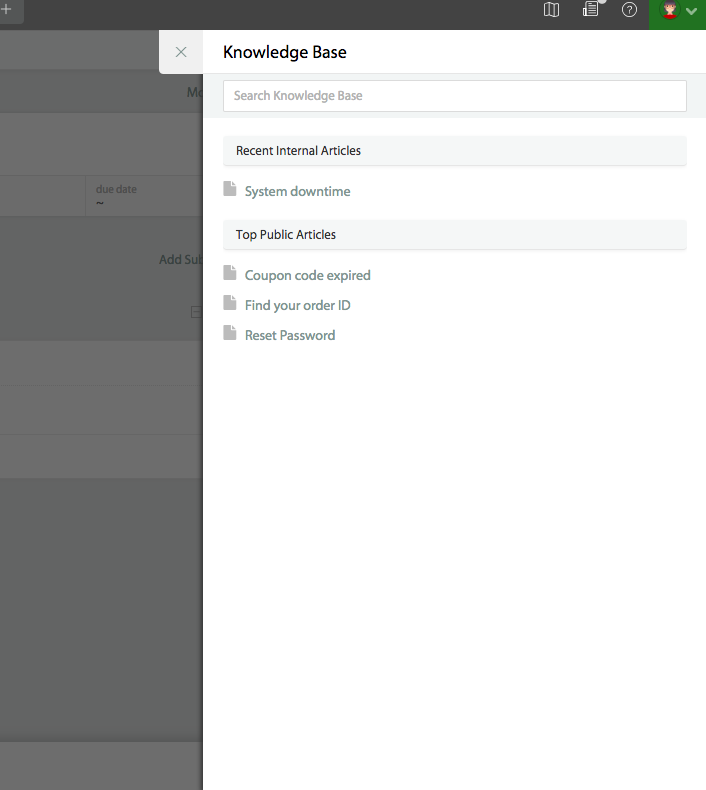 e have included an option to directly access your Knowledge Base from the ticket detail page and have also included an option to search through the KB to find the specific article that was being looked for. 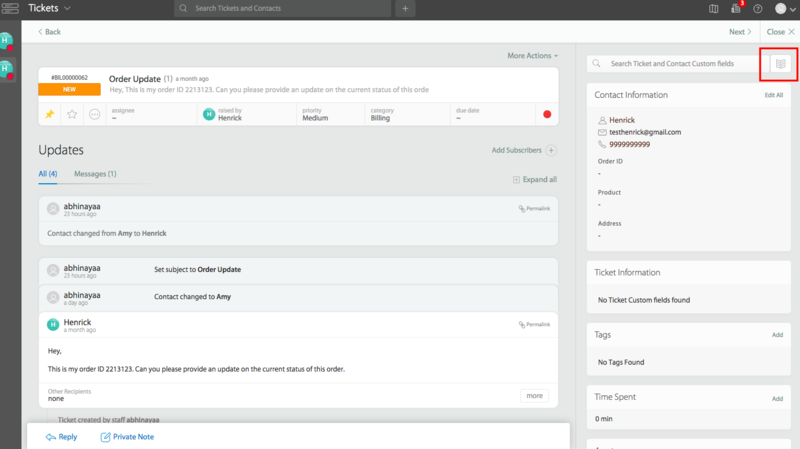 Towards the top right side of the ticket detail page, click on the book icon. 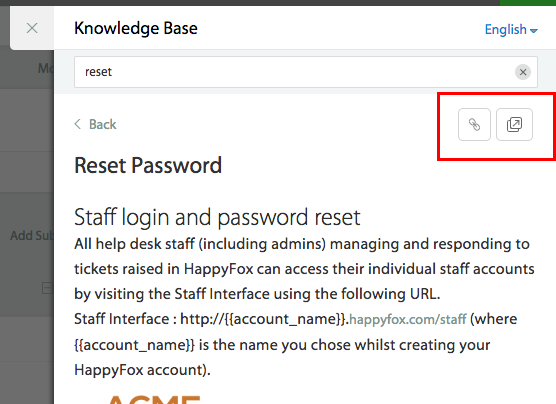 After you click on the icon, it will slide out a pane from where you can search and view your KB articles. 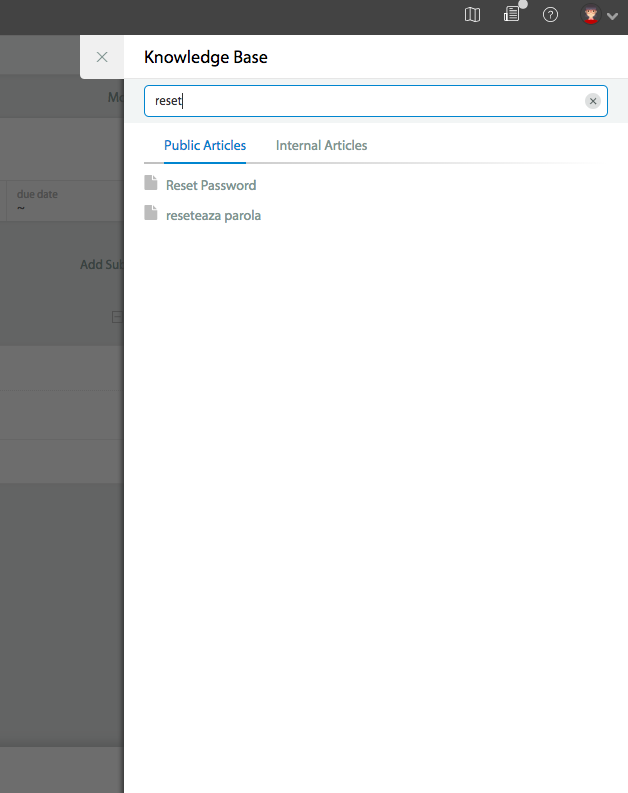 You can search for KB articles with article name. 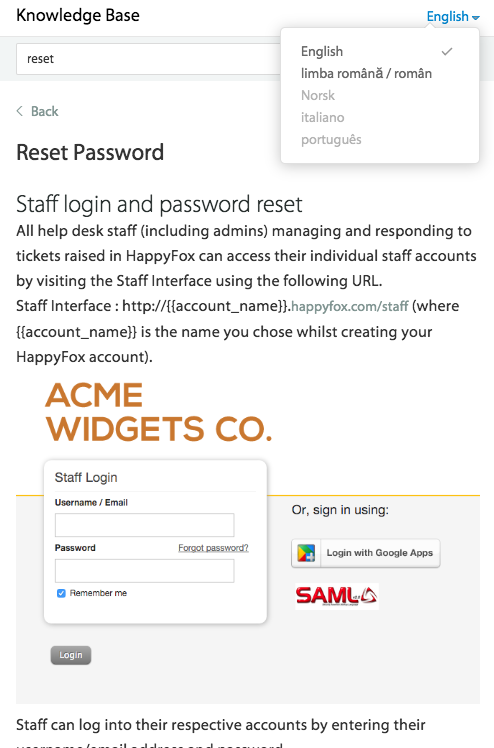 When you have articles in different languages, you will have option to switch between the languages and refer to the desired language article as shown below. Upon opening an article, there are options to copy the link of the article and also to open the same article in a new browser tab. Copy option will save the article link to clipboard and you can use the same while adding an update.